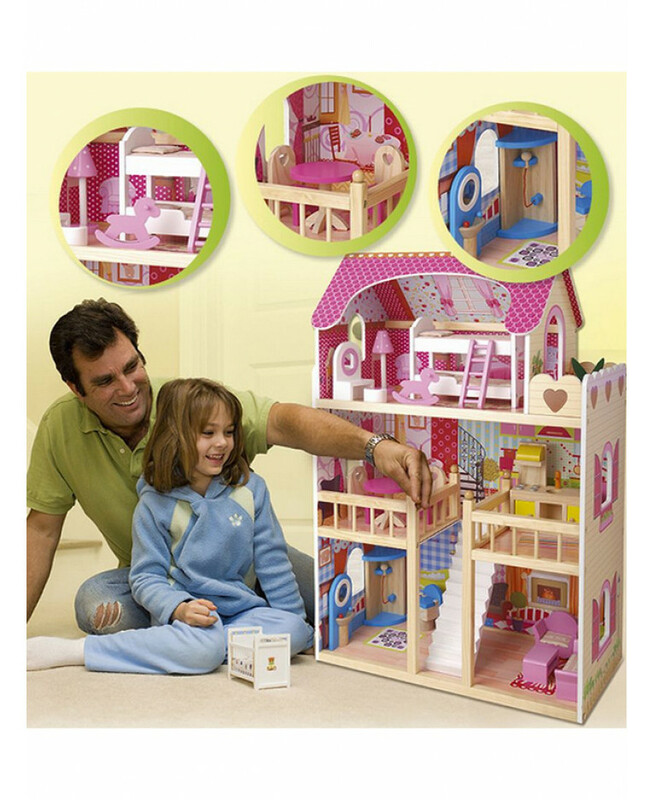 This stunning Dream Mansion Doll House makes an ideal gift for any little girl. 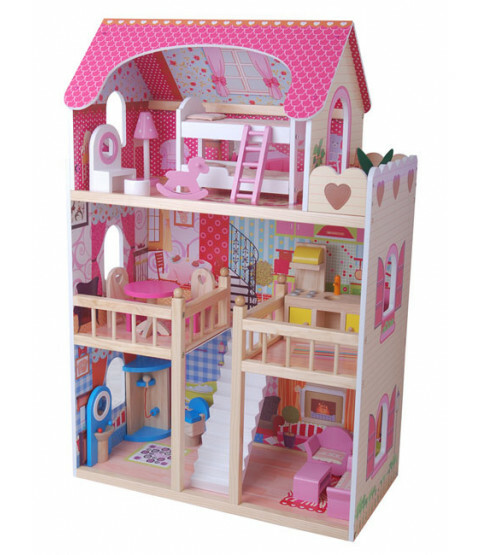 The design is based on a open plan, three storey town house with a bedroom, kitchen, bathroom, living room, dining room and balcony. 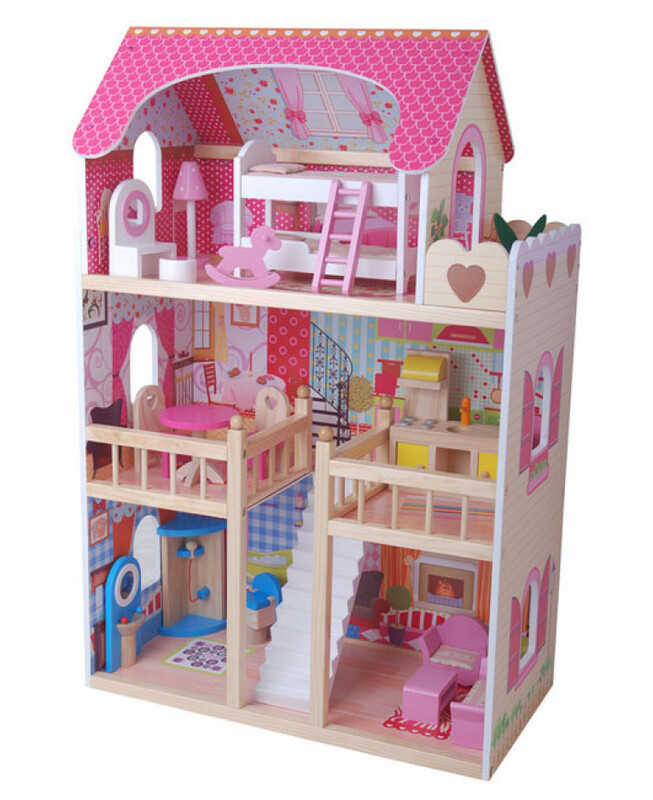 It comes fully furnished with 19 pieces of high quality furniture and can accommodate dolls up to 4 inches high.